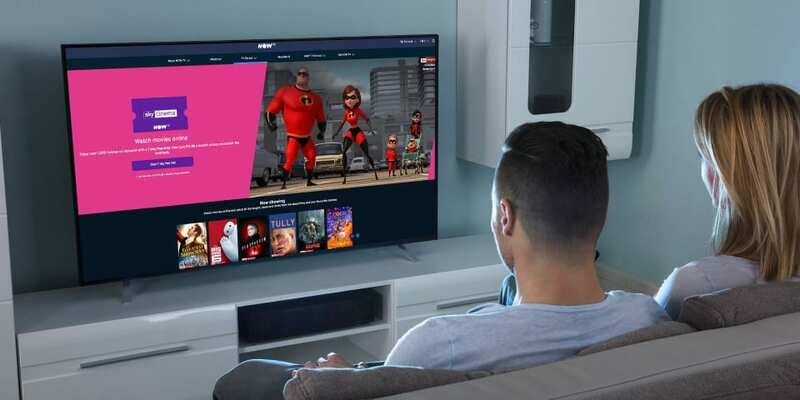 After raising the prices of its daily and weekly Sports passes by £2, Now TV has now increased the price of its Sky Cinema Pass from £9.99 to £11.99, effective as of 3 April. This price rise has affected both new and existing customers. We take a look at the best deals and whether it’s worth switching away to a rival. Discover the best and worst TV and broadband providers in the UK. Comparing the three biggest streaming services indicates that Now TV has some work to do in order to keep up with its rivals. Unlike Netflix and Amazon Prime Video, you’ll need two passes with Now TV to watch its complement of films and popular TV shows — Cinema Pass and Entertainment Pass. Now TV’s Entertainment Pass makes it the primary place for watching Game of Thrones and Westworld (although you can rent or buy them on Amazon Prime Video), but it’s let down by the fact that it currently only streams in 720p as opposed to 1080p for Netflix’s mid-tier package and 4K for Amazon Prime Video. Now TV is also considerably higher priced than competitors when you combine the cost of these two passes — £19.98 a month. Now TV’s library, although smaller than its rivals, has some of the bigger blockbusters in its roster, so it might be a better choice if you are looking to rewatch films that were recently in cinemas. But there’s no doubt there are big savings to be made, and ultimately a wealth of content to watch, if you consider one of its rivals. Use our Film Finder tool to find out the cheapest way to watch whatever film or TV show you want, legally and safely. Now TV is also under threat from new arrivals. 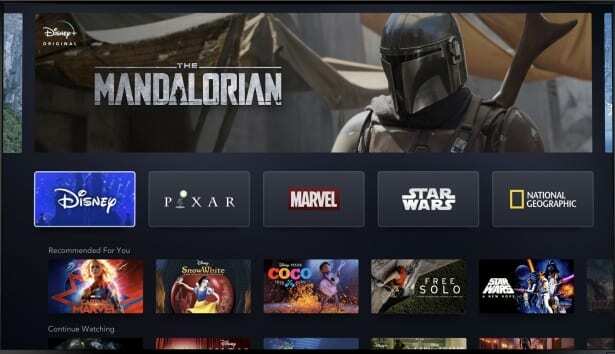 Disney has announced its new streaming service, Disney Plus, (although UK launch dates and pricing are both still unknown) so the TV streaming market will get very busy with Apple TV+ and a joint BBC/ITV streaming service also on the way. It will be more important than ever for streaming services to show why they deserve your subscription, and NOW TV raising its prices may be a tactic that it has to revise further down the line as competition hots up. One way to beat the price hike is to find a deal or discount on your existing or alternative streaming service. Netflix is not typically known for offering deals to existing members, but it does offer a one-month free trial for those wanting to check out if the content on offer is for them. Read our review of Netflix to see if it’s for you. EE customers are being offered six months free Amazon Prime Video if they are a pay-monthly customer (either through Sim-only or a contract). 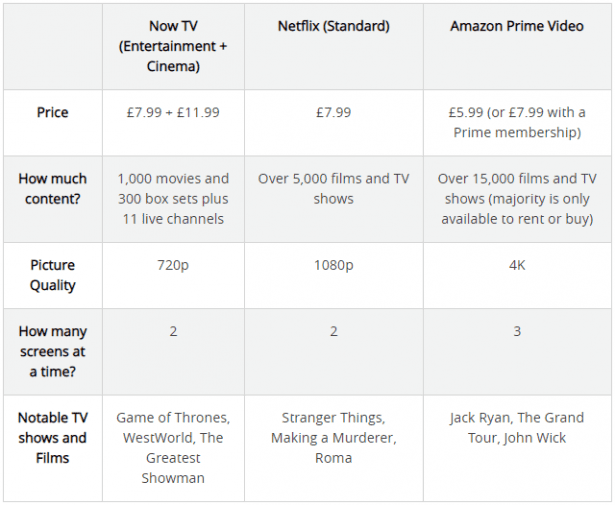 Vodafone customers can also get up to 24 months free Amazon Prime Video with one of its Red Entertainment plans. There are also sometimes offers on full Prime membership, which comes with unlimited one-day delivery and Prime Music, its lower-tier music streaming service. Currently, students can get six months of free Amazon Prime. For non-students, there is a one-month free trial. Read our review of Amazon Prime Video for more. Although prices are rising, Now TV is well known for offering bundles in order for you to save money. We list some of the best deals below. 6 months Sky Cinema – £42.99 (a saving of 40% off the full price of £71.94) – available on Now TV’s website. 6 months Sky Cinema and Entertainment – £56.99 (a saving of 52% off the full price of £119.88) – available on Now TV’s website. Now TV Smart Stick with two-month Cinema Pass and one-day Sports Pass – £16.99 (a saving of 49% off the full price of £32.97). Now Broadband also offers six months of Now TV Entertainment Pass when you take out any of its packages, which start at £18 per month. Read our review of Now TV’s Entertainment Pass and Cinema Pass. There are potential savings to be had across the board when it comes to home broadband and entertainment. If you’re paying full price for your TV and broadband package and are out of contract, chances are you are paying too much. At Which?, we give you all the tools and advice you need to make sure you’re paying the best possible price for your TV and broadband package. Read our guide on how to haggle to get the best deal on broadband for tips you can use with your broadband or TV & broadband provider, and check out broadband and TV provider reviews if you’re considering switching. Our switching website, Which? Switch Broadband, can help you get the best deal with a new broadband provider and show you the best offers where you live. Which? Switch Broadband also has some exclusive incentives, such as vouchers or cash back that you cannot get by going directly to the provider itself. Don’t feel like you’re getting the broadband speeds you paid for? Use our broadband speed checker to find out.